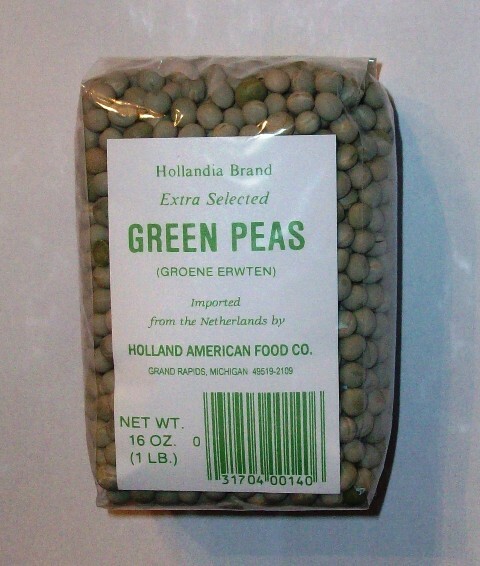 These are Dutch dried whole green peas. They have a delicious flavor and make an excellent pea soup or addition to any soup or dinner. 1 pound or 16 oz per package.